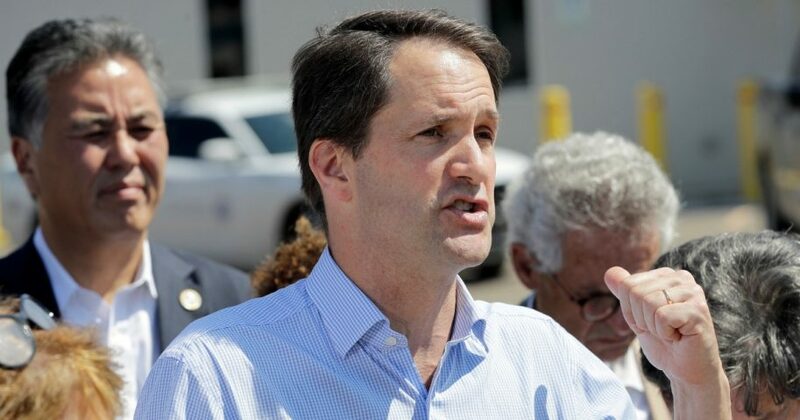 Connecticut Democratic Rep. Jim Himes on Sunday slammed Fox News for covering the migrant caravan seeking to cross the southern border between the United States and Mexico. Himes claimed that Fox News was only covering the issue because of Mississippi’s runoff election for Senate on Tuesday. “I was on @FoxNews @trish_regan this morning. I was puzzled because they were on fire over the CRISIS of the CARAVAN and the murderous felons and terrorists which had lain totally dormant since Election Day,” Himes wrote on Twitter. Himes’ tweet mocking the idea that the caravan is causing a “crisis” came three days after the Mexican border city of Tijuana declared a humanitarian crisis in response to thousands of caravan members overwhelming the city’s resources. Hundreds of migrants on Sunday rushed the border at the San Ysidro port of entry. The port of entry connects Tijuana and San Diego, California. U.S. Customs and Border Patrol closed the port of entry in response and used tear gas to disperse the crowd of migrants.